Your nasal allergies are causing secondary symptoms such as chronic sinus infections, nasal congestion or difficulty breathing. Antihistamines and other over-the-counter medications do not control your allergy symptoms or create unacceptable side effects, such as drowsiness. Your allergic disease is interfering with your ability to carry on day-to-day activities. You are frequently short of breath or feel a tightness in your chest. You have previously been diagnosed with asthma, but despite treatment, you have frequent acute asthma attacks. Asthma and other allergic diseases are among the most common health problems, with as many as 50 million Americans afflicted with asthma, hay fever or other allergy related conditions. 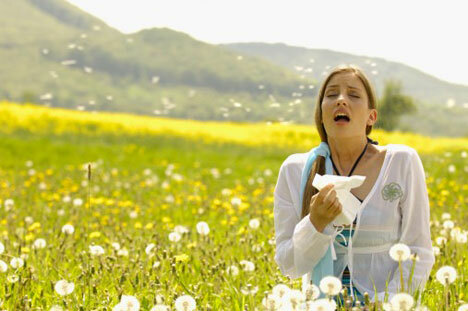 Some allergy problems – such as a mild case of hay fever – may require no treatment or may be controlled with the occasional use of an over-the-counter medication. Others, however, may interfere with day-to-day activities, lessen the quality of life or, sometimes, be life-threatening. Sometimes, over-the-counter medications produce undesirable side effects. In these cases, individuals should seek the care of a physician to help them manage their disease. If you have (or suspect that you may have) asthma or another allergic disease, an allergist will help you learn more about your condition and provide treatment that controls or eliminates your symptoms. Often, the symptoms of allergic diseases develop gradually over a period of time. Allergy patients may become so accustomed to chronic symptoms such as sneezing, nasal congestion or wheezing that they do not consider their symptoms to be unusual. Yet, with the help of an allergist, these symptoms can usually be prevented or controlled and the patient’s quality of life greatly improved. One of the marvels of the human body is that it can defend itself against harmful invaders such as viruses or bacteria. But sometimes the body identifies harmless substances such as dust mites, molds or pollen as targets for the immune system. This specialized defense system launches a host of complex chemical weapons to attack and destroy the supposed enemy. Unfortunately the body’s reaction can produce unpleasant and, in extreme cases, life-threatening symptoms in the allergy-prone individual. A physician who specializes in the diagnosis and treatment of asthma and other allergic diseases is an allergist. The allergist has had special training to identify the factors that trigger allergic diseases, and help patients to prevent or treat these conditions. After earning a medical degree, the allergist completes a three-year residency training program in either internal medicine or pediatrics, followed by a two- or three-year program of study in the field of allergy and immunology. After passing a qualifying examination, the doctor becomes an allergist certified by the American Board of Allergy and Immunology. An allergic reaction may occur anywhere in the body but usually appears in the nose, eyes, lungs or skin. Allergic reactions can also affect the sinuses, throat and lining of the stomach. Asthma and other allergic diseases can affect anyone, regardless of age, gender, race or socioeconomic factors. While it’s true that allergic diseases are more common in children, they can occur for the first time at any age or, in some cases, recur after many years of remission. Although the exact genetic factors are not yet understood, the tendency to develop diseases like asthma, hay fever and eczema is linked to heredity. Additionally, heredity plays a role in determining which allergens will cause symptoms in people with allergic disease. Other non-allergic factors such as hormones, stress, smoke, perfume or other environmental irritants are often important in producing symptoms. Effectively controlling allergic disease requires planning, skill and patience. The allergist, with his or her specialized training and expertise in evaluation and management, can develop a treatment plan for your individual condition. The goal will be to enable you to lead a life that is normal and symptom-free as possible. The allergist will usually perform tests to determine what allergens are involved. The most effective approach to treating allergic symptoms is to avoid the factors that trigger the condition in the first place. Even when it is not possible to completely avoid allergens, an allergist can design strategies for reducing exposure and preventing symptoms. Many new and effective medications are available to treat both asthma and other allergic diseases. In this treatment, patients are injected over the course of time with gradually increasing doses of the substances to which they are allergic. In many cases, the body’s reaction to the substance becomes less pronounced over time. Asthma is caused when airway muscle spasms and other factors constrict the flow of air to the lungs. The linings of airways become inflamed and swollen, and excess mucus may clog the airways. An asthma episode is characterized by labored or restricted breathing, a tight feeling in the chest, coughing and wheezing. The condition can develop quickly and may vary in severity from mild discomfort to life-threatening attacks in which breathing stops altogether. Sometimes a chronic cough is the only symptom, and many cases of the disease go undiagnosed. Allergic rhinitis is a general term used to describe the allergic reactions that take place when an airborne allergen, such as pollen or mold, is inhaled through the mouth or nose. Symptoms may include sneezing, congestion, runny nose, excess mucus, weepy eyes and a scratchy or burning palate and throat. These may be seasonal symptoms triggered by plant pollens or molds, in which case the condition is often called “hay fever.” Sometimes the problem is year-round, in which case the culprit may be dust mites, cockroaches, dander from household pets or other animals or, less frequently, a food allergy. Eczema and hives are skin conditions that are sometimes triggered by allergens. The most common allergic causes of rashes such as eczema are foods, dust mites, pollens and animals. Hives, or skin welts, may be also be triggered by allergies. When the skin comes in direct contact with certain substances, usually a chemical, contact dermatitis may result. Often the reaction may take hours or days to develop, as in the case of poison ivy. These reactions are caused by complex mechanisms that are very different from those that cause allergic disorders. Routine allergy “skin testing” is not useful to determine the cause of contact dermatitis. Some allergists do the “patch testing” used to diagnose contact dermatitis, and others recommend consultation with a dermatologist for this type of testing. Anaphylaxis is a rare, potentially fatal allergic reaction that affects many parts of the body at once. The trigger may be an insect sting, a food (such as nuts or shellfish) or medications. Symptoms may include a dangerous drop in blood pressure, flushing, difficulty breathing, swelling of the throat, tongue and nasal passages, and loss of consciousness. Usually these symptoms are immediate and progress rapidly. Emergency medical attention should be sought at the first sign of an anaphylactic reaction.